Welcome to iTennis L.A. at Medici! 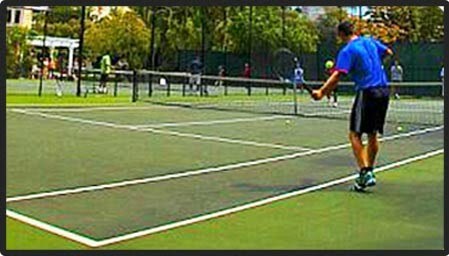 Your Downtown L.A. Tennis Connection for clinics, private lessons, social events & stress-busting after-work activities! iTennis LA @ The Medici features 2 beautifully-paved tennis courts nestled inside a hidden garden oasis. We are minutes from the Staples Center. The tennis courts feature unmatched LED lighting technology. We offer group clinics, private lessons, and activities for players of all ages and abilities. Why do people keep coming back? Our pros are the most-experienced. We use 300+ ball baskets, top-level court equipment, and we're guaranteed to make you sweat! Registration opens Monday May 6th! Special Pricing for Medici Residents!